Joe Burke, a member of the baritone section of the Crossmen last year, sent in this one. 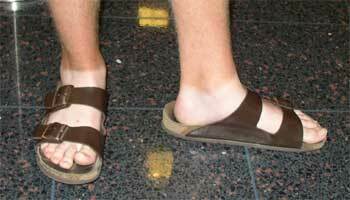 "My dad took this picture of my sock tan line at the airport the day after finals. I thought it was pretty funny."